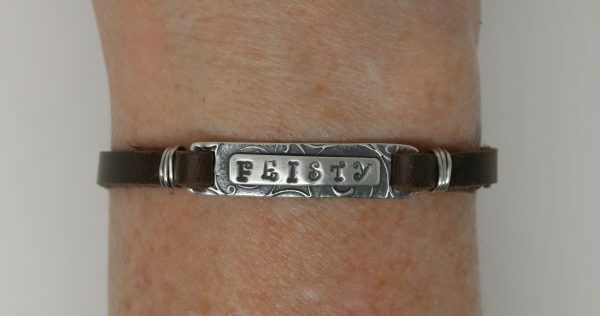 Plank handmade in sterling silver with the word “Feisty”. 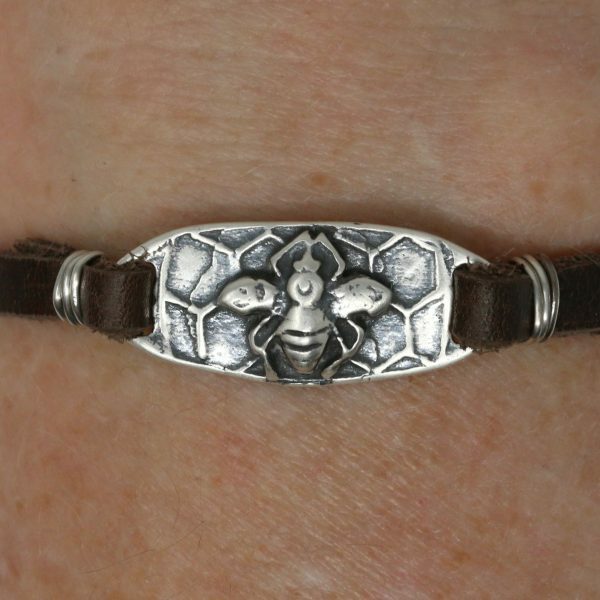 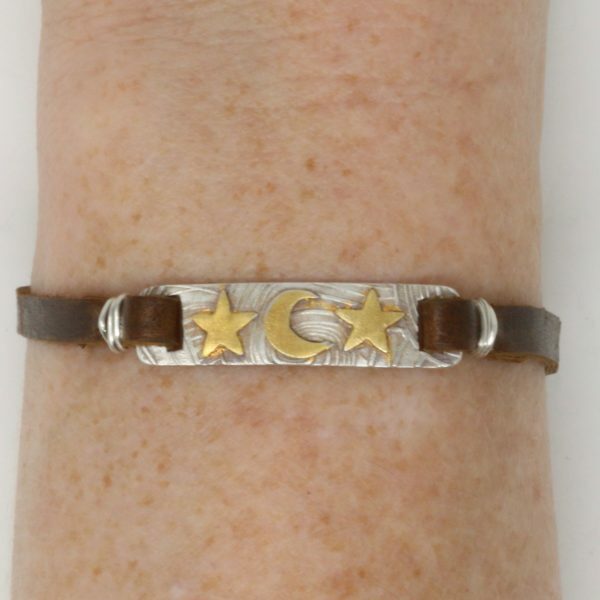 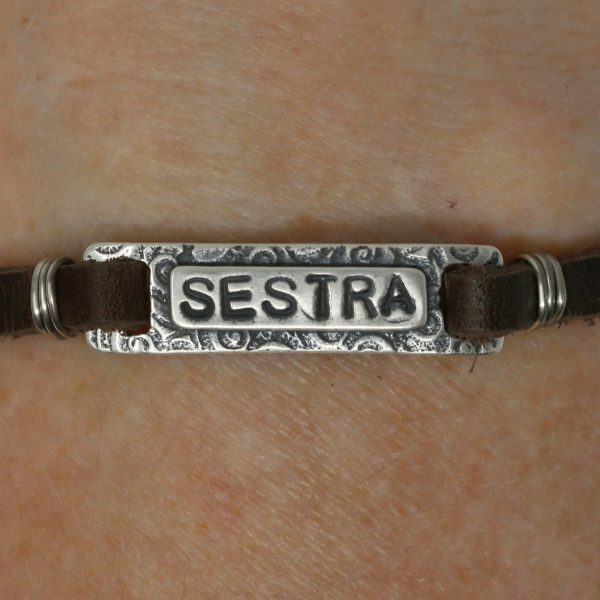 Both sides are richly textured.Genuine brown leather with sterling silver clasp and findings. 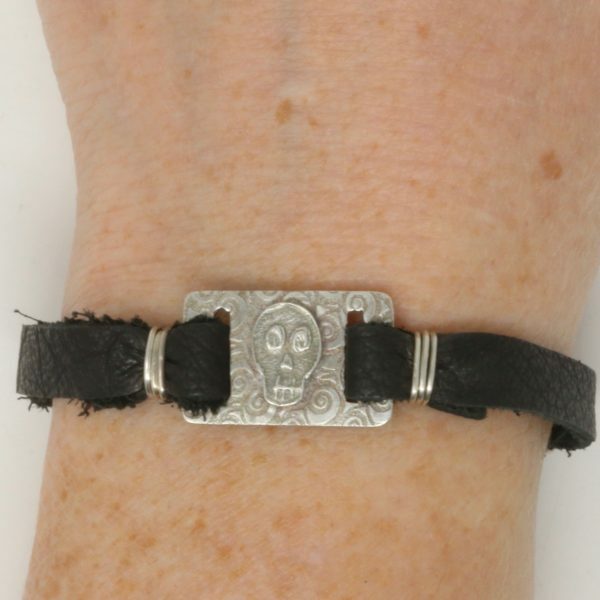 Dimensions of plank are 1 1/2″x5/16″. 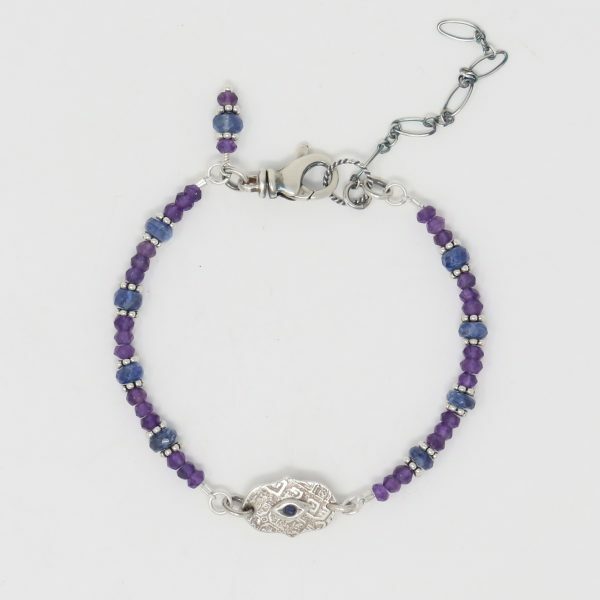 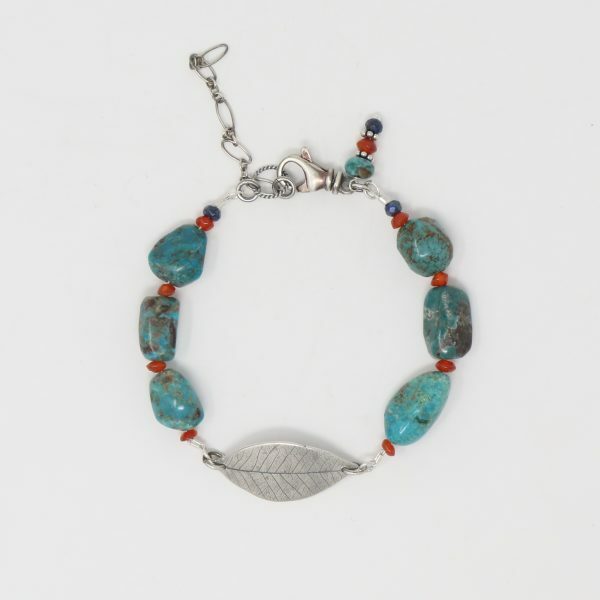 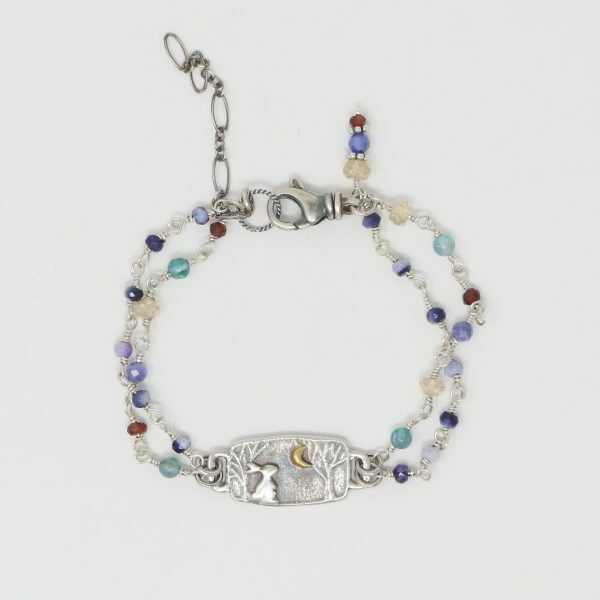 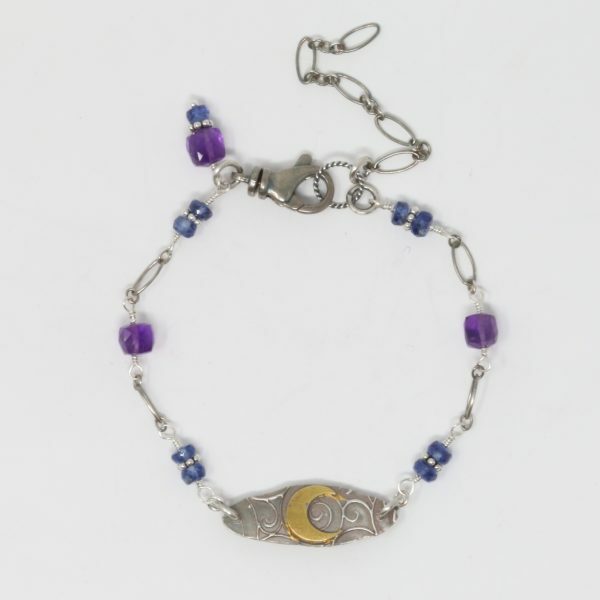 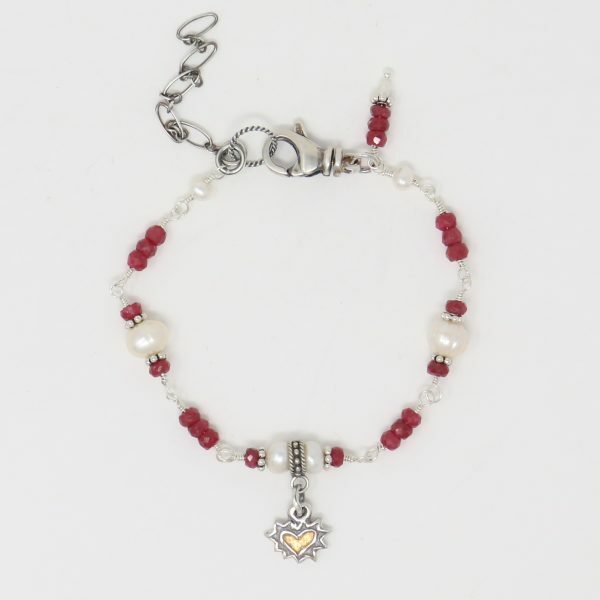 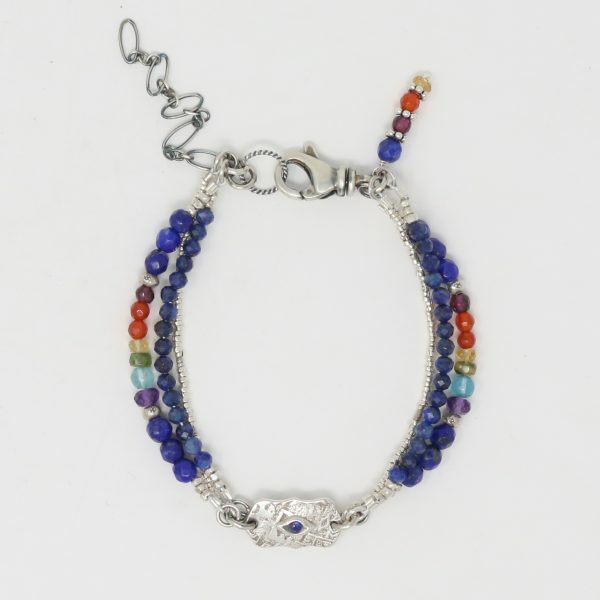 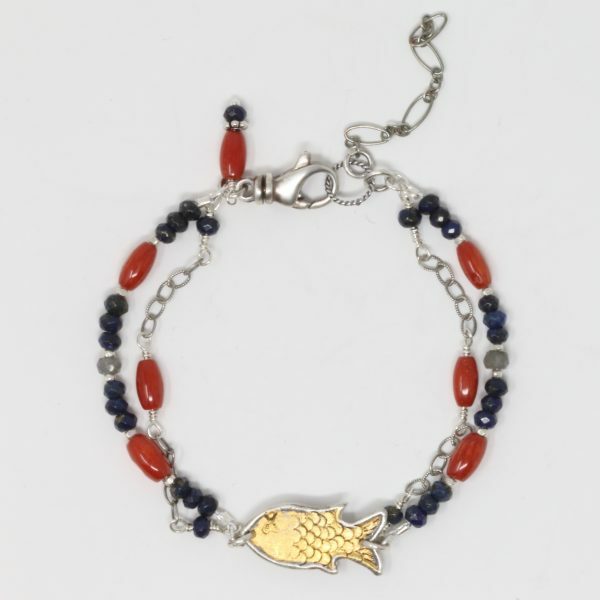 Total length of bracelet is adjustable 7″-8 3/4″.